This cured, air-dried Basque free range pig's shoulder is simply delicious. The pigs are fed on acorns, chestnuts and grass and are allowed to roam the Basque mountains to fatten up nautrally. Shoulder cured in cellar, with the right point of salt, with an extraordinary infiltration and a sharp and clean aroma, special to consume to the cut, with a suitable presentation and a persistent flavour and a pleasant aftertaste. These are large shoulders, very oily thanks to the free range raised of the animals and slow curation in traditional dryers for over 18 months. URDETXE is the brand used by TXERRIZALEOK, the Association for Basque Outdoor Pig Breeders. 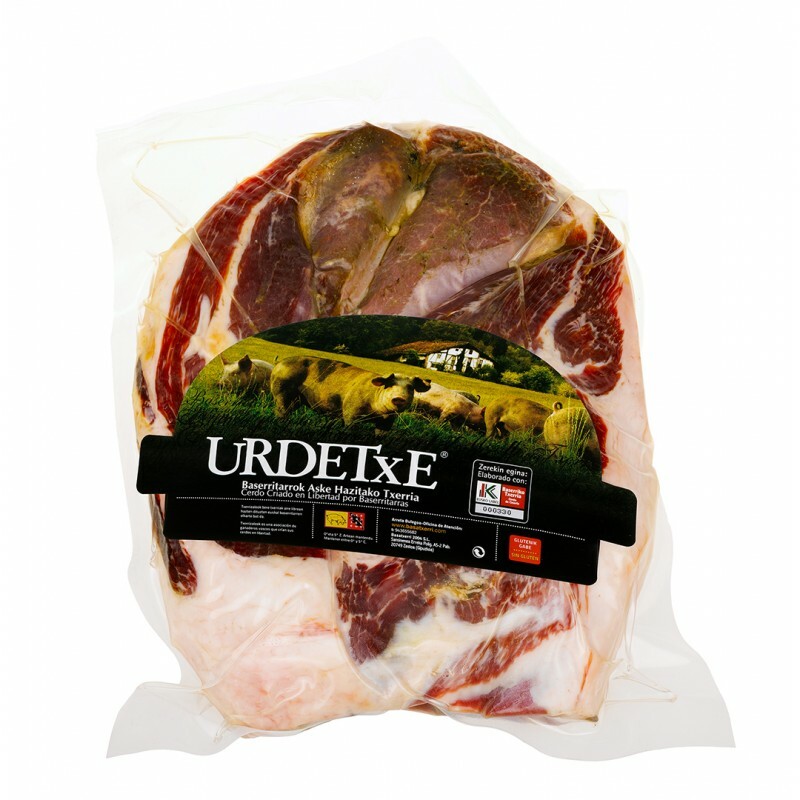 URDETXE guarantees high quality pork and pork products. Pigs are raised outdoors and fed on grass, scrub, chestnuts and acorns and the greatest care is taken to ensure the highest quality taste and product. URDETXE pork and pork products bear the ‘Eusko Label’, regulated and controlled by the Basque Government, which is awarded to quality agricultural food products produced, processed and/or made in the Basque Country.